We thank James Corbett for his tireless efforts and research of behind the closed doors of geopolitics and the money masters that fund and direct the institutions of the world. All is not as it seems or as it is portrayed in the news media. This week the political stage is in China as the Asia Pacific Economic Cooperation, “APEC“, Summit for international corporations and trade is taking place. 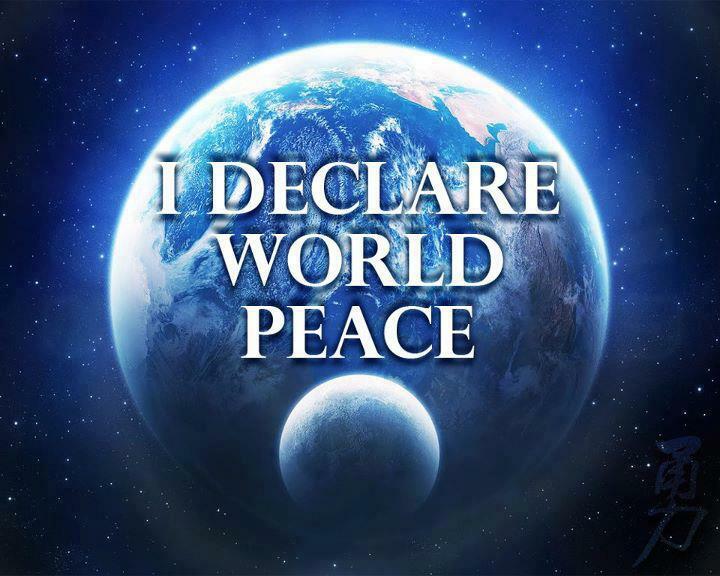 Is China an opponent to the New World Order global governmental system or a co-conspirator? 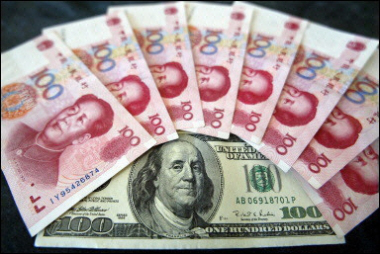 Some people are focused on the emergence of the BRICS and SCO nations withdrawing support for the U.S. Dollar as the international means for trade. However the two trade agreements (China endorsed FTAAP, and U.S. endorsed TPP) are not revealed widely to the public. That secrecy says a lot about the entire negotiations. Why is China internet still so heavily controlled and restricted? Why are discussions to abolish fractional reserve banking not leading the negotiations for monetary reform? We remind readers that wars and crisis are managed to forward an agenda, and many false flags have been documented over the centuries that started crisis and war for a hidden agenda. Deception is the art of war. Could we be witnessing a geopolitical plan that involves officials of the central banks and the wealthiest nations to reset the international monetary system in the East after a international currency crisis, and could they be willing to have military conflict to enforce this policy? Control over the People is the meme of empires and of nation states. Do not fall into the limited view of only two opposing sides, as in the 2 party politics, or conservatives vs liberals, or good vs bad, or WEST vs EAST false dichotomies. We must be willing to search for multiple forces, multiple agendas, and along with it comes multiple solutions. We can count past two! Often institutional agendas are multifaceted and hiding behind doors number 1 through three or six or more doors and yet another conspirator with an agenda is lurking. The train departed Yiwu in eastern China, a major wholesale centre for small consumer goods, on November 18 and passed through Kazakhstan, Russia, Belarus, Poland, Germany, and France during its 21-day trip. The newly operational route is the longest railway route in the world, longer still than Russia’s famous Transsiberian railway linking Moscow to Vladivostok near Russia’s border with China. The journey time was over ten days shorter than if the goods transported by the train had been shipped by sea, Spain’s public works ministry said. The train’s 40 shipping containers transported goods made in Zhejiang province, including spinning tops for children and cutting tools. The train will return to China with wine, olive oil and cured ham. Speaking a ceremony in Madrid, Li Qiang, the governor of China’s Zhejiang province where Yiwu is located, said the route was important to “implement the strategy of developing a new ‘silk road'”. China has a regular direct freight train service to Germany, Europe’s largest economy. The plan is to create a similar regular route between China and Spain, Spanish Public Works Minister Ana Pastor told reporters after the train arrived at a logistical centre near Madrid’s main railway station. The Spanish capital already is “a European and international distribution hub” with good links to both Africa and Latin America, she said. Roughly 80 percent of global trade is shipped by boat as freight train service faces several technical and bureaucratic hurdles which vary according to country. 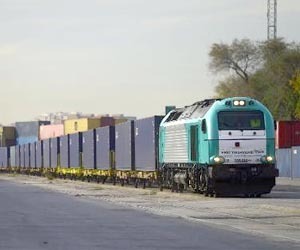 The goods on the train which arrived in Madrid for example had to be transferred to different wagons at three points during the trip because of incompatible track gauges in different countries. China is the European Union’s biggest source of imports, according to the European Commission. The filing of false claims in the nonjudicial process of a majority of states should not result in success where the same false claims could never be proven in judicial process. Nonjudicial process was meant as an administrative remedy to foreclosures that were NOT in dispute. Any application of nonjudicial schemes that allows false claims to succeed where they would fail in a judicial action is unconstitutional. The filing of a bankruptcy petition that shows property to be encumbered by virtue of a deed of trust is admitting a false representation made by a stranger to the transaction. The petition for bankruptcy relief should be filed showing that the property is not encumbered and the adversary or collateral proceeding to nullify the mortgage and the note should accompany each filing where the note and mortgage are subject to claims of securitization or a “new” beneficiary. The vast majority of decisions against borrowers result from voluntary or involuntary waiver, ignorance and failure to plead or object on the basis of false claims based on false documentation. The issue is not the signature (although that probably is false too); rather it is (a) the actual transaction which is missing and the (b) false documentation of a (i) fictitious transaction and (ii) fictitious transfers of fictitious (and non-fictitious) transactions. The result is often that the homeowner has admitted to the false assertion of being a borrower in relation to the party making the claim, admitting the secured status of the “creditor”, admitting that they are a creditor, admitting that they received a loan from within the chain claimed by the “creditor”, admitting the default, admitting the validity of the note and admitting the validity of the mortgage or deed of trust — thus leaving both the trial and appellate courts with no choice but to rule against the homeowner. Thus procedurally a false claim becomes “true” for purposes of that case. This decision is breath-taking. What the Panel has done here is fire a warning shot over the bow of the California Supreme Court with respect to the APPLICATION of the non-judicial process. AND it takes dead aim at those who make false claims on false debts in both nonjudicial and judicial process. Amongst the insiders it is well known that your chances on appeal to the BAP are less than 15% whereas an appeal to the District Judge, often ignored as an option, has at least a 50% prospect for success. So the fact that this decision comes from the BAP Panel which normally rubber stamps decisions of bankruptcy judges is all the more compelling. One word of caution that is not discussed here is the the matter of jurisdiction. I am not so sure the bankruptcy judge had jurisdiction to consider the matters raised in the adversary proceeding. I think there is a possibility that jurisdiction would be present before the District Court Judge, but not the Bankruptcy Judge. This case is going to be a cornucopia of decision material for BK courts nationwide (and others), it directly tackles all the issues regarding standing and assignment (But based on Non-J foreclosure, and this is California of course……) it tackles Glaski and Glaski loses, BUT notes dichotomy on secured creditor status….this case could have been even more , but leave to amend was forfeited by borrower inaction—– it is part huge win, part huge loss as it relates to Glaski, BUT IT IS DIRECTLY APPLICABLE TO CHASE/WAMU CASES……….Note in full case how court refers to transfer of “some of WAMU’s assets”, tacitly inferring that the court WILL NOT second guess what was and was not transferred………… i.e, foreclosing party needs to prove this!! we know of no law precluding the Riveras from challenging DBNTC’s assertion of secured status for purposes of the Riveras’ bankruptcy case. Nor did the bankruptcy court cite to any such law. We acknowledge that our analysis promotes the existence of two different sets of legal standards – one applicable in nonjudicial foreclosure proceedings and a markedly different one for use in ascertaining creditors’ rights in bankruptcy cases. But we did not create these divergent standards. The California legislature and the California courts did. We are not the first to point out the divergence of these standards. See CAL. REAL EST., at § 10:41 (noting that the requirements under California law for an effective assignment of a real-estate-secured obligation may differ depending on whether or not the dispute over the assignment arises in a challenge to nonjudicial foreclosure proceedings). respective rights in DBNTC’s nonjudicial foreclosure proceedings. they were not a party. would excuse noncompliance with the requirements of the statute. with TILA’s requirements. See McDonald v. Checks–N–Advance, Inc.
it dismissed the Riveras’ TILA claim. Here, however, the Riveras did not argue in either the bankruptcy court or in their opening appeal brief that the court should have granted them leave to amend. Having not raised the issue in either place, we may consider it forfeited. See Golden v. Chicago Title Ins. Co. (In re Choo), 273 B.R. 608, 613 (9th Cir. BAP 2002).